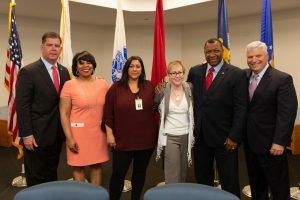 Sheriff Steven W Tompkins and other members of the Suffolk County Sheriff’s Department joined with City of Boston Mayor Marty Walsh, Suffolk County District Attorney Dan Conley and Massachusetts Trial Court Chief Justice Paula Carey, to announce the opening of OASIS (the Opioid and Addiction Services Inside South Bay) Unit. Other elected officials, representatives of city agencies, recovery programs and health care providers also attended the opening of the new unit at the Suffolk County House of Correction. 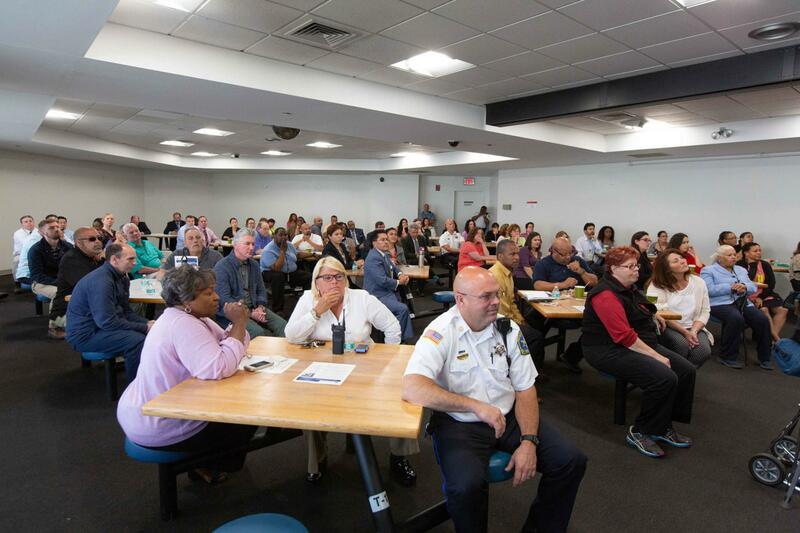 As part of the opening, visitors were invited to tour the OASIS Unit, which is specifically designed to provide intensive addiction treatment and discharge planning services to male pretrial detainees.